I haven't taken a quilting class in years. This weekend I got a real treat! My aunt and I took Kim Brackett's class to make "Island Chain" from her new book Scrap Basket Sensations. (I got my copy from Connecting Threads last week. Fast shipping and 40% off the price too!) 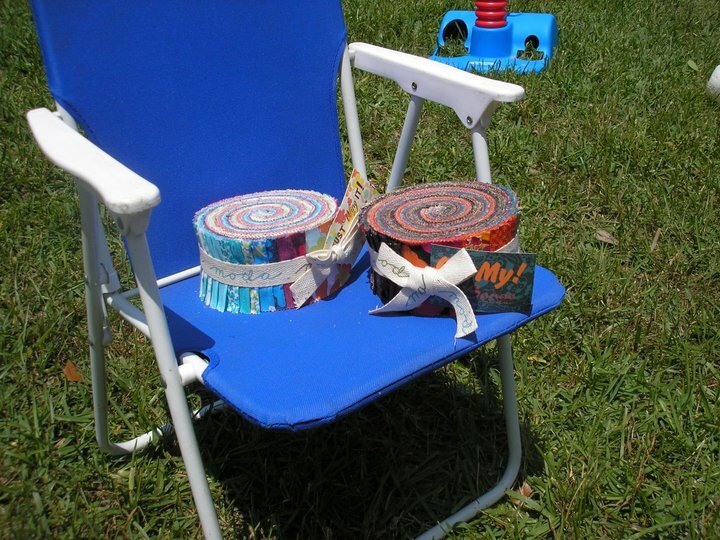 If you have a stash of 2 1/2" strips (or a jelly roll or two) you will be so inspired by her two books. Kim lives not far from here, and it was so great to meet her in person. She is so very nice! I am looking forward to future classes with her. There is always something new to learn - whether it is perspective, color arrangement, or piecing shortcuts. And what a fun way to spend a day! This is my Island Chain. It is laid out on my design wall. 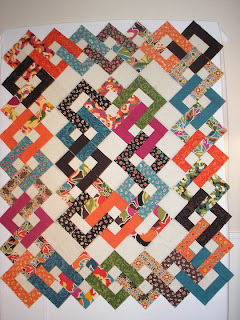 I hope to sew all the blocks together this week. 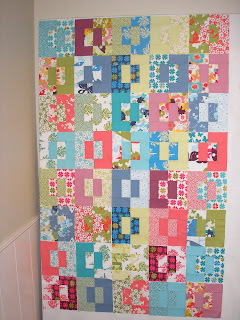 I used the jelly roll of "Oh My!" which my daughter gave me for Mother's Day this year. Isn't it colorful? Nice bright fall colors. The layout looks so complicated, but it is not difficult. The others in class used Bali Pops for theirs and what beautiful quilts they will be as well. The other jelly roll I got for Mother's Day I turned into "Split Decision" a pattern I bought some time ago. This is another super easy one. 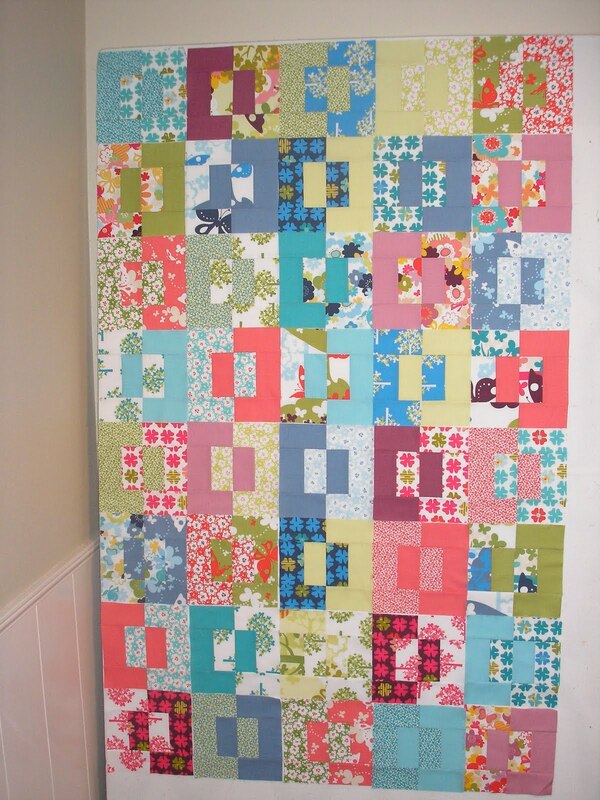 Anyone who needs a baby quilt, grad quilt, or just wants to make something fast and easy will love it. Moda's "Just Wing It" is what I used. For a non-quilter, my girl sure has great taste! Either of these can be cut and pieced in one day. I hope sharing these encourages others to give quiltmaking a try. With one jelly roll, and one of these patterns, you will be proud of yourself and have a lovely quilt top for snuggling under or to give as a gift! If you can sew a straight line - you can do it! There are only 2 days left for voting in the McCall's Design Star 2011 contest! I am so anxious to see how mine did. Voting numbers are not available til after this round closes, I guess. Since I have had a bit of luck lately winning prizes from Facebook and blogs, I have my fingers crossed to make it to the next round of McCall's contest! Go to mccallsquilting.com and look for the Design Star link if you haven't seen it yet. Voting ends May 25th at 1 AM. I had so much fun in class, although I felt a little silly "teaching" people who are better quilters than me! 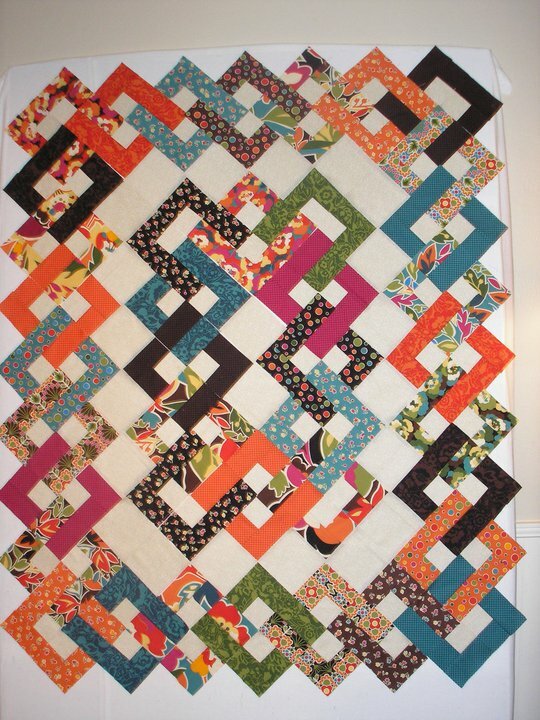 I do love your Island Chain quilt. It looks so great in those fabrics. 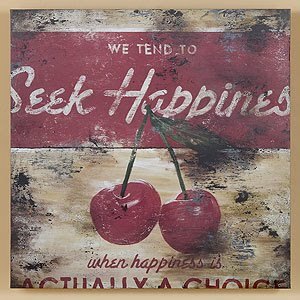 And your split decision is yummy! You're so right about the fabric. It would be perfect for a little girl, but grown-up enough that I would enjoy it for myself. This is wonderful!! You are so lucky to have meant her and from what I hear spending day with her and Karen today! Hope you three have a blast together.